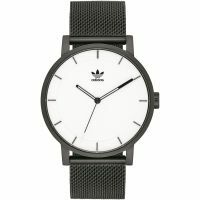 Adidas watches perfectly encapsulate the iconic brand's heritage, with innovative designs that blend stylish urban edge with a sporting spirit. Launched by Adi Dassler in 1949, the remarkable story behind the brand is the ultimate tale of sibling rivalry that kickstarted not one, but two giants of the sport fashion world: Adidas and Puma. Today, the three-striped brand is as relevant as ever, with football legends David Beckham and Lionel Messi just two of many big-name ambassadors. 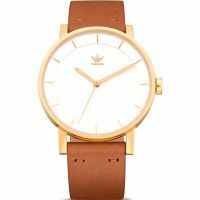 The Adidas timepiece collection includes trendy watches with sturdy stainless-steel designs in gold, silver and even rose gold tones, as well as contemporary models made from rubber with colours that pop. 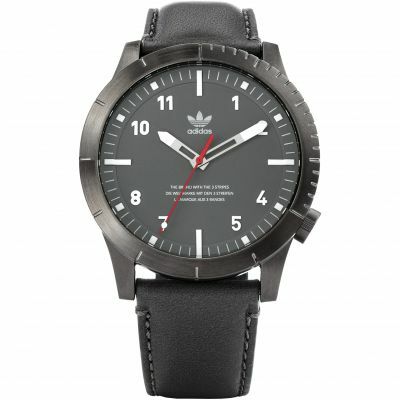 Hip-hop style, sporty looks, and contemporary cool are all present and correct with the men's Adidas watch collection. Go for gold with sleek, modern pieces that look the part whether teamed with suited-and-booted outfits or down day sneakers and hoodie. Elsewhere, the collection goes back to the future, with 1980s digital designs that pack an ultra-modern twist. 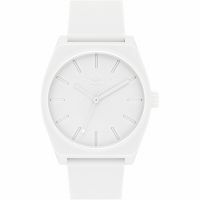 Spearmint green dials, silvery tones and chunky monochromatic bracelets all feature in the ladies' Adidas timepiece collection. 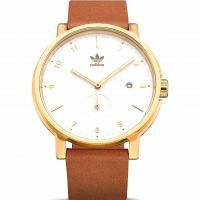 Black and gold designs with mesh metal straps demonstrate the Adidas approach to the trends of today, while rose gold hues are unashamedly feminine. 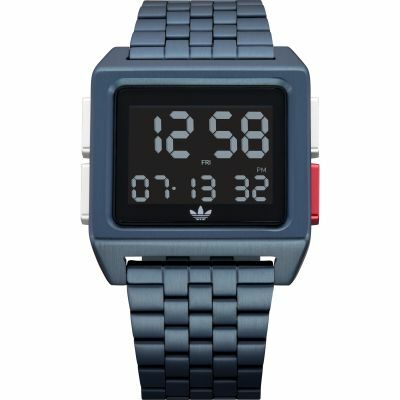 The Adidas unisex watch collection mixes contemporary designs with sporty looks in a way that only Adidas can. Brushed gun-metal grey models in stainless-steel are modern and understated, while stark white dials featuring the iconic three-stripe logo are reminiscent of a box-fresh pair of Adidas sneakers. The Adidas legacy begins in 1924 Germany, with brothers Adolf and Rudolf Dassler setting out to create the ultimate sports footwear brand. The Dassler brothers' Shoe Factory was born, however it wasn't until the siblings fell out that things became interesting. After an epic falling out with brother Rudi, Adi Dassler goes solo and launches Adidas. An empire is born. Adidas launches the Franz Backenbauer tracksuit in the hope that its first piece of apparel will take off. 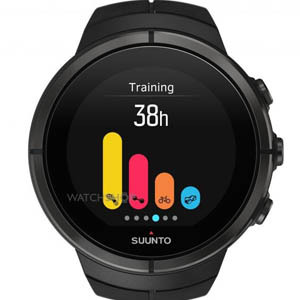 Sales go through the roof and business booms. Adi holds meetings with professional athletes to discover their needs and it pays off: Adidas becomes the ultimate brand that athletes can trust. Adidas proves to be decades ahead of its peers once again, when it launches a sport shoe with a built-in Micropacer computer to help athletes track progress. Hip-hop giants Run DMC release the track 'My Adidas', thus cementing the brand's place in both fashion and pop culture forever. Adidas Predator football boots make their debut, going on to assist on legendary goals for David Beckham and Zinedine Zidane, among others. Adidas teams up with Japanese designer Yohji Yamamoto for a new streetwear range, with Stella McCartney signing up to work with the brand two years later. 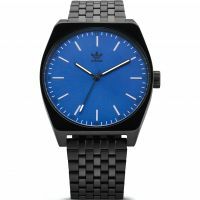 Adidas launches its Heritage-inspired watch collection, celebrating the brand's incredible historic journey. 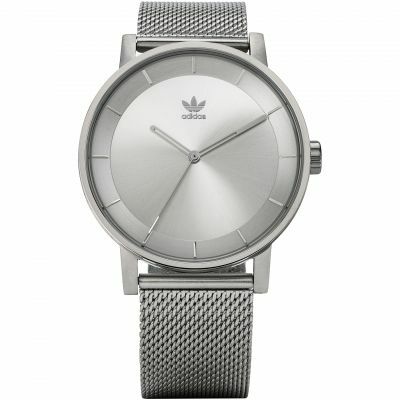 Effortlessly cool, stylish and understated… No other sports brand has done things quite like Adidas. 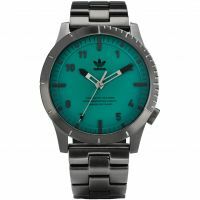 Born out of a steely competitive nature and sheer determination, it's no surprise Adidas has had a hand in sporting history throughout almost 100 years of business. 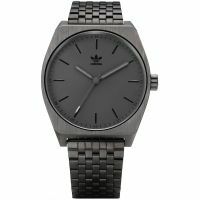 The Adidas watch collection embodies the rich heritage of the brand, while always remaining two steps ahead of the competition. 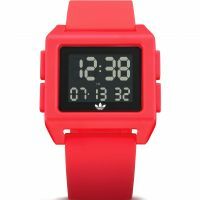 With a savvy streetwise style all its own, Adidas wristwear is just as relevant on the streets of Paris, London, and New York as it is in the globe's biggest sports stadiums. From the Beastie Boys to Bieber, and from Lionel Messi to Gigi Hadid; nobody is immune to the Adidas charm. 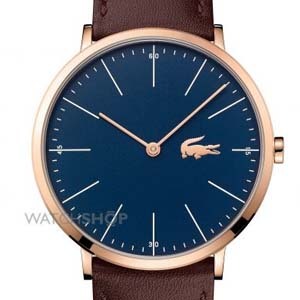 Read on for further inspiration on sporting brands that are worthy of your attention.